Stay Safe Out There My Friends! We all know the importance of motorcycle safety riding tips. Whenever you get in any type of transportation, there’s always a risk for an accident, however when you’re on a motorcycle, you are more open to injuries, because you don’t have the protection of metal and plastic surrounding you, so do everything you can to stay as safe as possible when on your bike. There are many types of helmets you can wear. There are half helmets, 3/4 helmets, helmets with sun shields, and some without. All are made with your safety in mind. You can find styles for both men and women, too. 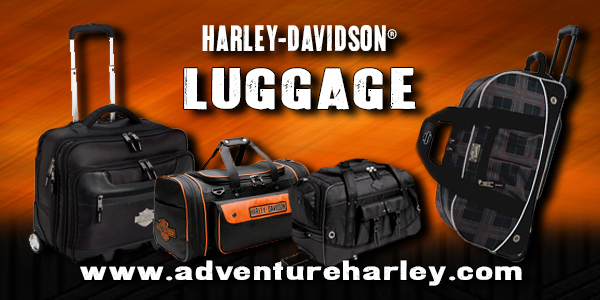 Adventure Harley-Davidson offers a great variety of motorcycle helmets and other gear. Check them out for all your motorcycle safety needs. Along with a helmet, other protective gear might include leather boots, a leather jacket, jeans or leather chaps, gloves, and so on. You should especially gear up on long trips and when traveling on the highways. There are things on your bike that can help with safety, too. A bug windshield offers protection from bugs, as well as smaller birds that could fly out in front of you. You might not think a small bird could do some damage, but if one hits you while you are going at a high speed, you’ll get some bangs and bruises from it for sure. Make sure you also have side mirrors that allow you to see behind you and to the side of you. Keep an eye on both sides of the roads for deer and other animals that could come running out in front of you, too. If you see one, slow down, or stop, if necessary to avoid a painful collision. If your motorcycle helmet doesn’t have a sun shield, or if you don’t wear a helmet, consider wearing sunglasses to keep out the glare of the sun, and to protect your eyes from the sun, and from things that could bounce off the road or off of other vehicles, and hit you in the face. Other things to keep in mind when out enjoying a ride is your speed. Don’t go so fast that you’re being unsafe to yourself, your riders, or other drivers around you. And even if you are a safe driver, remember to pay attention to other vehicles, because not everybody drives safely, or keeps an eye out for bikes. You also never know when someone is going to have a medical emergency that causes them to have an accident or drive sporadically. Stay a safe distance behind other drivers, and do your best to watch all of those around you. You also don’t want to buy more of a bike than you can handle. You might want the biggest and baddest bike in town, but if you can’t handle it on the road, or when stopped, then it’s a recipe for disaster. This can cause road accidents, or broken bones if it falls on you or someone else. Some simple things to remember are don’t talk on your phone, or try to text while driving. If you need to do either, or you need to smoke, eat or drink, then pull over and do those things. It’s also a good idea to avoid bad weather on your bike. if it’s raining hard, snowing, etc, then wait it out. Anti-lock brakes are also great for quick, unexpected stops, and help avoid skids and crashes. When brakes lock, you lose steering control, too. If possible, get anti-lock brakes on your bike. So to summarize Motorcycle Safety Riding Tips: Wear the right gear, Equip your bike with safety essentials, watch out for other drivers and animals, drive at safe speeds, avoid bad weather, and have fun!